Level 3 Communications proposed to construct an extensive 2,000-mile fiber optic network throughout California to address increasing demand for broadband access. Aspen Environmental Group prepared a Subsequent Mitigated Negative Declaration (MND) for the project, prepared a CEQA Mitigation Monitoring Program, and conducted construction monitoring for the project on behalf of the California Public Utilities Commission. 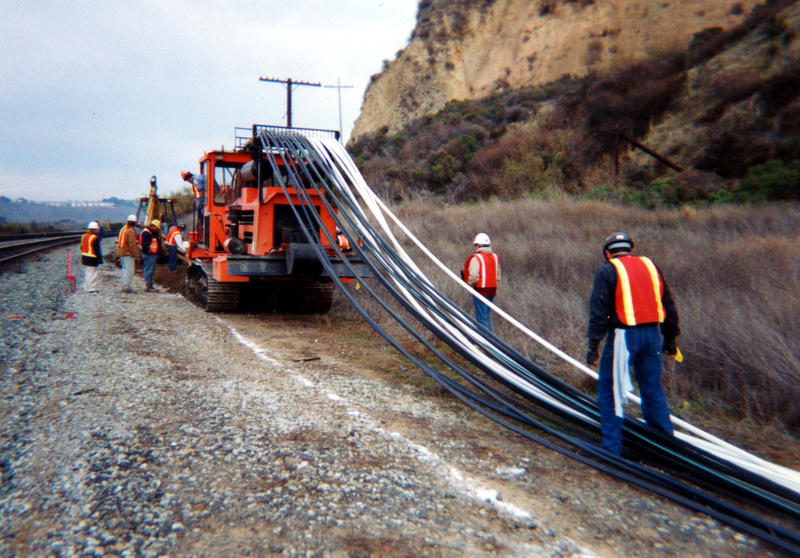 The project’s environmental review document included one master Initial Study and a project-wide master Subsequent MND that were supported by 21 separate Initial Studies prepared for site-specific station sites for signal generation and amplification and two workaround areas located outside of utility rights-of-way. The 22 Initial Studies contained all of the analyses outlined in Appendix G of the State CEQA Guidelines, including visual simulations of each site’s proposed facilities. In addition to the mitigation measures and environmental commitments contained in the project’s original Initial Study and MND, the Subsequent MND identified mitigation measures for aesthetics, air quality, hazards and hazardous materials, land use, noise, and traffic and transportation. A team of up to six environmental monitors was required during monitoring activities, which included documentation of non-compliance activities, variance request review and recommendations to the CPUC, and extra workspace review and approval. Fifteen project shutdowns occurred, seven of which were imposed for safety violations. Monitoring efforts required extensive coordination with the applicant, construction contractors, and affected local, state, and federal agencies. Aspen additionally prepared subsequent mitigation plans, including a Cultural Resource Procedures Plan and a Frac-Out Contingency Plan to address non-compliance activities. As the project progressed, it became apparent that utility rights-of-way contain a variety of sensitive resources that were being adversely affected by frac-out contamination and cleanup activities from horizontal directional drilling (HDD) activities. The extensive use of HDD technology on the project (over 500 locations) required a thorough understanding of bore technology including bore engineering, workspace requirements, and frac-out potential and cleanup requirements. Through extensive documentation of impacts in the field and extensive agency coordination, the applicant was able to modify its activities and implement appropriate mitigation implementation to reduce impacts.